It is late 2011, 7:34 am. Two armoured vehicles begin a routine patrol north of the devastated country. Only one will return. At 8:02 am, the lead vehicle is struck by an improvised explosive device (IED) – a roadside bomb – which detonates with devastating effect. A sergeant who was travelling in the second vehicle later recounts how the force of the explosion tore the wheels off the vehicle and flipped it over on its side. All of the occupants were wounded. Some would never recover. At a stroke, the attack edged the number of British soldiers killed and wounded in the country ever higher. Over the next few years, tens of thousands of coalition soldiers would be wounded or killed in action, with the vast majority falling victim to similar devices. IEDs are an inescapable aspect of modern asymmetric war. Conflicts in Iraq, Afghanistan, Syria and other countries have seen countless thousands of such devices buried in the road, just waiting to be detonated. The ease with which improvised explosive devices can be made - for the cost of a few hundred dollars - suggests that the threat will never go away. In fact, it is increasing. Every soldier knows that IEDs are a real and present threat and always will be. But what can be done to mitigate the danger? An obvious solution is to use heavier vehicles with greater protection. Another is to add more armour to existing vehicles. But more armour equals more weight. And more weight has a direct impact on where the vehicles can be driven, putting them at risk from being forced to take obvious routes which could then be mined with larger IEDs by observant enemy forces. Fast, lightweight vehicles can provide greater off-road mobility and therefore their routes are harder to predict, but these are vulnerable even to small devices. Militaries, including the UK, tried to solve this issue by urgently procuring a variety of vehicles. However, what they often provided in protection they did not deliver in mobility and soldiers found themselves constrained in their movements to the roads which could take these vehicles. Constraining operational manoeuvres to accommodate the limitations of a vehicle is not something that any military enjoys. Although no vehicle can offer 100% protection against every attack (it is always possible to build a bigger bomb, as Major Douglas Nelson remarked during the inquest into the deaths of the British soldiers mentioned earlier), it is certainly possible to design vehicles, such as the Bushmaster, with much higher levels of protection without compromising mobility. In over a few hundred significant IED and blast events on Bushmasters used by Australian, Dutch and UK Soldiers in both Iraq and Afghanistan no soldier has yet died. Indeed 50 of these incidents destroyed the vehicles beyond any further use. This is an unprecedented record of survivability, especially considering that the Bushmaster retains very high levels of off road mobility. The combat-proven Bushmaster has now been in service for nearly 20 years Since then the design has been regularly upgraded to provide the best possible protection against new and emerging threats. 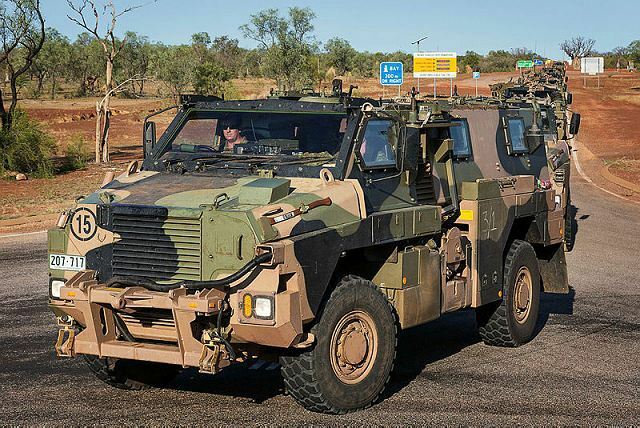 Originally designed for use in Northern Australia, Thales has delivered more than a 1200 Bushmasters to date. A dozen variants of the Bushmaster are currently in service in Australia, the Netherlands, New Zealand, Fiji, Indonesia, Japan, Jamaica, and the UK. These variants include Bushmaster configurations fulfilling a variety of roles including counter-IED and route clearance, troop carrier, ambulance, command vehicle, mortar carrier, and more. As well, with the growing body of users, the Bushmaster in all its configurations is the veteran of numerous combat operations in Iraq, Afghanistan, Mali, and Lebanon. The latest iteration is the product of extensive this battlefield experience. Mechanically, it offers more power, more space, more payload, enhanced mobility and even greater levels of survivability. The UK MR6 (Multi-Role 6th generation) has separate front doors for the commander and driver, and a wider rear door, significantly increasing accessibility and egress. Bushmaster’s true ‘deep-V hull’ deflects blast energy away from the crew for class-leading protection against landmines and IEDs, and its windows and monocoque hull provide excellent protection against small arms fire and fragmentation. The rear compartment can now be configured for ten fully equipped troops or a substantial payload - two tons more than previous Bushmasters - and a variety of manned and unmanned weapon systems are available. In addition, the latest evolution of the Ambulance offered for the UK MRVP Program includes a sophisticated purpose-built medical unit with a clinical white-space interior to support on-board medical treatment, and not just a traditional casualty extraction vehicle: a direct result of lessons learned in Afghanistan. In an uncertain world, the Bushmaster has long been relied upon to take on a wide range of roles and missions. And now, with a combination of platform upgrades, proven architecture and the latest command and control systems, the new Bushmaster MR6 is undoubtedly the best and most capable version yet.